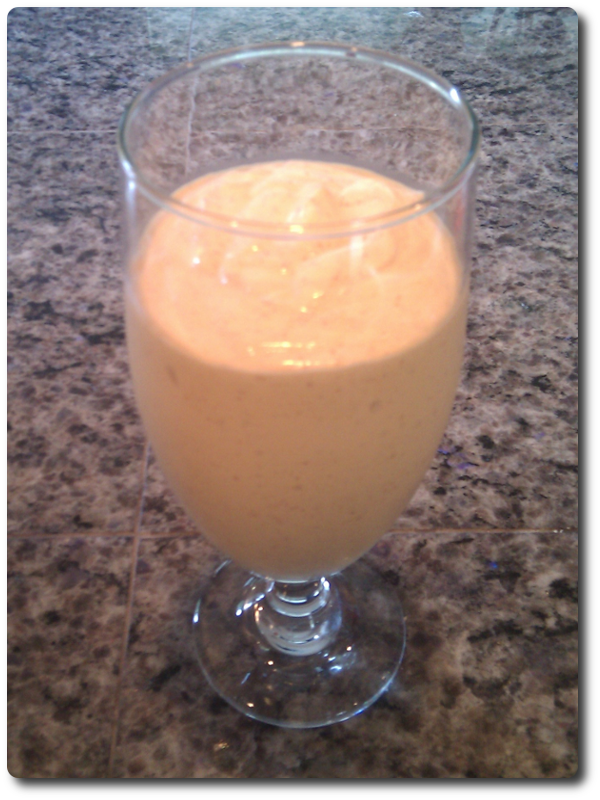 This ginger peach, nectarine, and apricot smoothie is an exotic and delicious drink. Pour the cream (or milk) into your blender. Add the frozen peach slices. Quarter the nectarine and add to the blender. Add the apricots and the ginger. Our testers preferred a silky smooth smoothie; chunky wasn't as popular. We experimented with milk, but loved the texture of the cream. Reviewers were split on whether they preferred no-sulfur dried apricots or sulfur-added apricots. Instead of frozen peach slices, use a fresh peach. You may have to experiment with liquid context in this case; we recommend adding a couple of large ice cubes to cool down the whole thing.